Several years after the first 'War of the Worlds', a shadowy mass is spotted hovering over rural Scotland. Here, among the hills and valleys, the Martians have landed, intent on another invasion which will see Britain under threat once more! 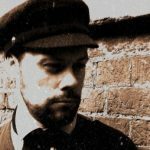 War of the Worlds: The New Wave is set following the events of H.G. Wells classic novel. 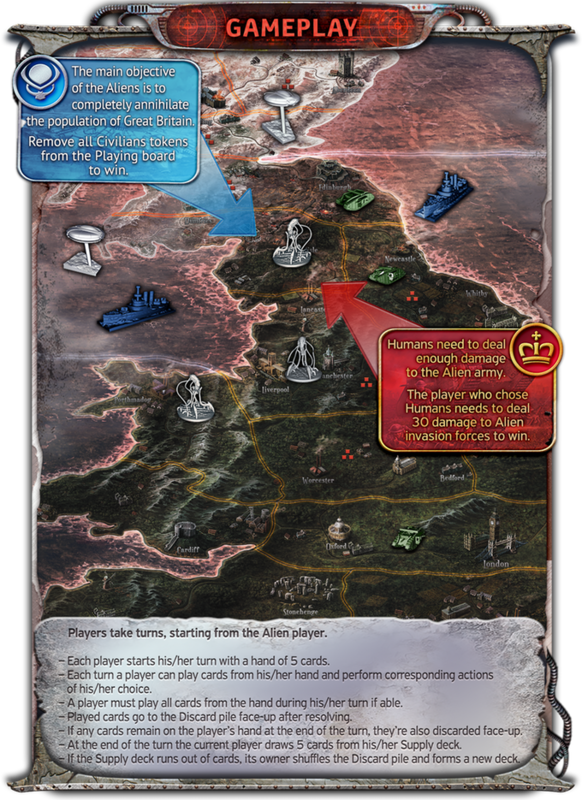 In this two-player asymmetrical deck-building game, one player adopts the role of the Martian invaders while the other takes on the tasks of the UK defences. 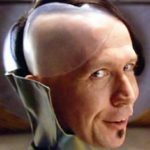 The objectives are different for each player: for the Martians, they must annihilate the population of Earth, whereas the UK must inflict enough damage that the Martians flee in defeat. 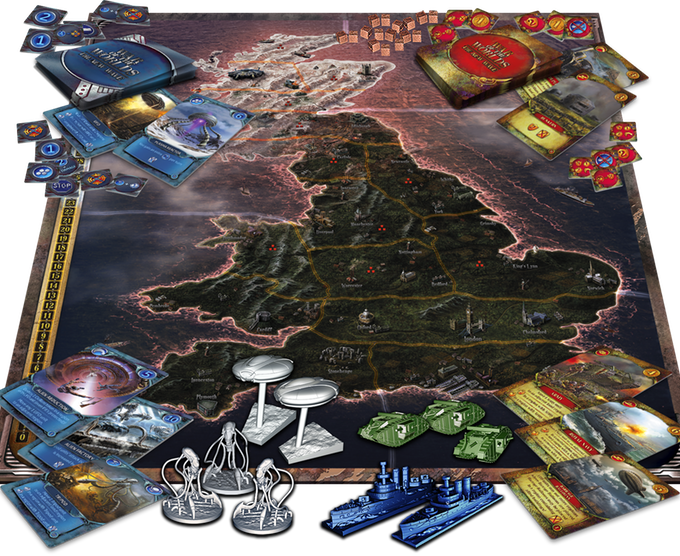 War of the Worlds: The New Wave is played on a map of mainland UK, and comes with two asymmetrical decks of cards, tokens and some really cool miniatures! 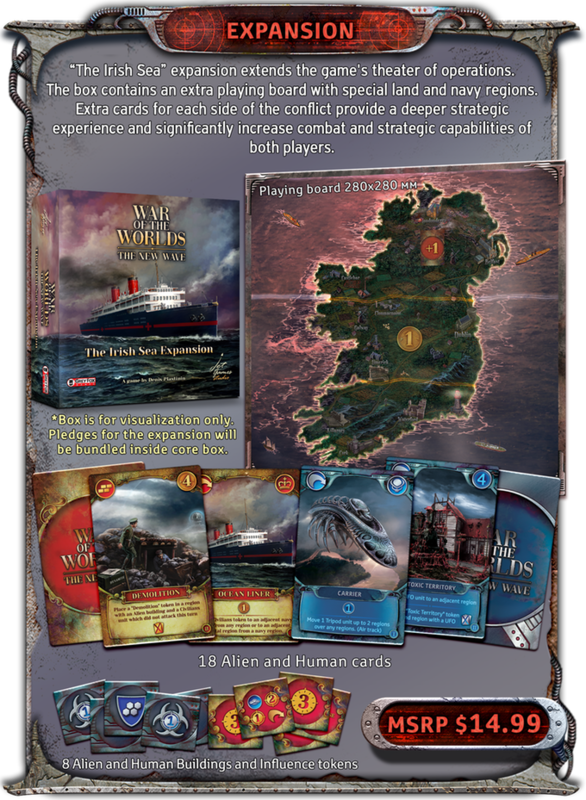 There's also an "Irish Sea" expansion option which furthers the base of operations by including and extra board and components for the island of Ireland. I really love the artwork in this game - Igor Savchenko has really outdone himself in illustrating a game which echoes H.G. Wells classic. However, it's not just the artwork which attracts me to this game. 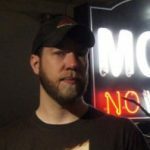 I'm a huge fan of asymmetry in two player games, and I think War of the Worlds: the New Wave does it incredibly well. 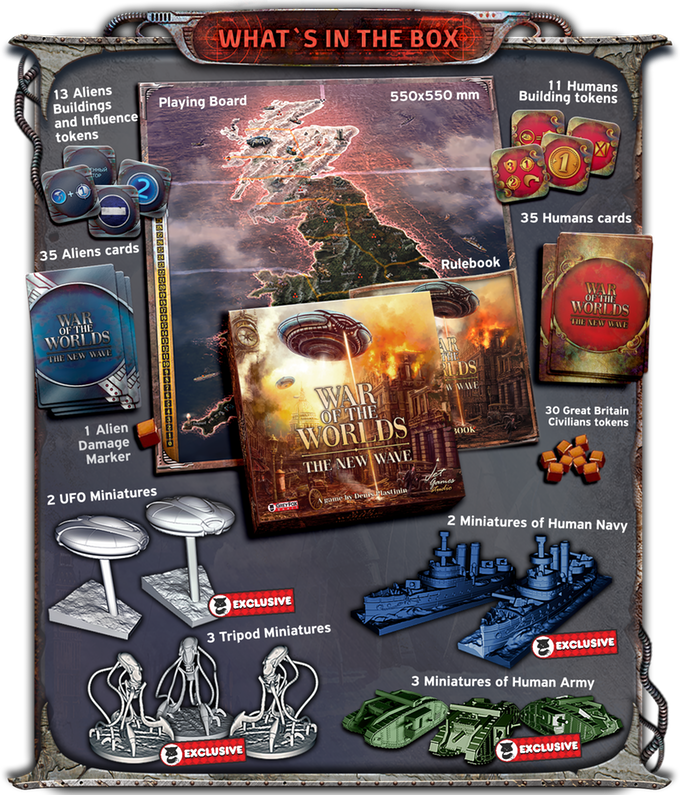 War of the Worlds: The New Wave is currently fully funded on Kickstarter, and you can make your pledge here! 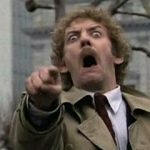 Quiz Time: In the original War of the Worlds, where in the UK does the 'strange disk' land? 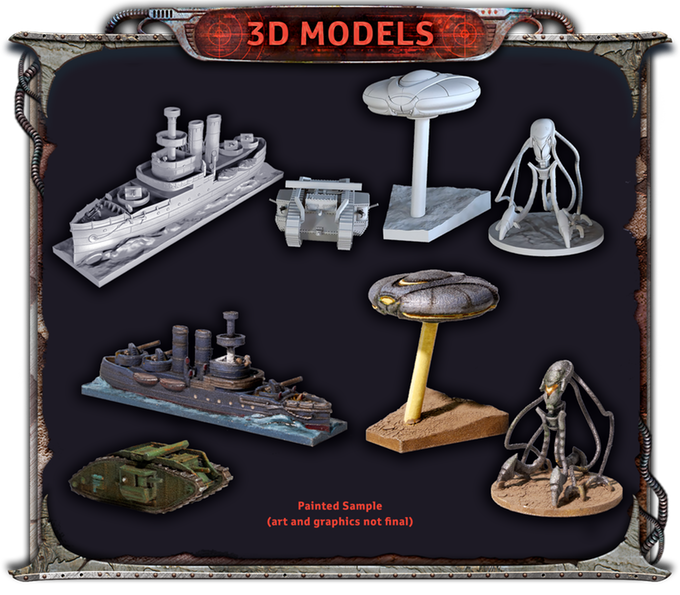 "War of the Worlds: The New Wave is set following the events of H.G. Wells classic novel"
Looks cool, wonder if they can do a deal with Jeff Wayne to get the art and minis for that as an expansion.